One Eternal Day: Being "heavenly-minded"
.... While I’ve learned much about the sovereignty and majesty of God from Calvin and the centrality of holiness from Ryle, it’s from Spurgeon I’ve learned the most. I’m gaining a greater understanding of the absolute necessity of having a mind set on “the things above” (Col. 3:2). 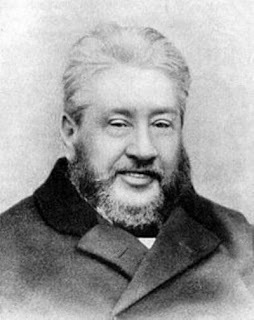 Spurgeon’s heavenly-mindedness allowed him to persevere in the ministry in spite of unbearable criticism, deep depression and serious illness. Were his focus on anything but his heavenly citizenship and were he waiting for anything other than Christ his Savior, I don’t know that he would have been able to continue. In all likelihood, the burden of his responsibilities combined with the cruelty of his detractors would have crushed him. And his example allowed me to come through the trial of losing a child and nearly losing my wife not with a battered spirit, but with a hope resting firmly in assurance that Christ’s kingdom will come and He will make all things right as He ushers in the New Heavens and the New Earth. "If ye then be risen with Christ, seek those things which are above, where Christ sitteth on the right hand of God. Set your affection﻿﻿ on things above, not on things on the earth.